I have seen a lot of photos floating around Facebook of people at Trump rallies accompanied by their horror stories… being confronted by thousands of people gathered to celebrate racism and fear. 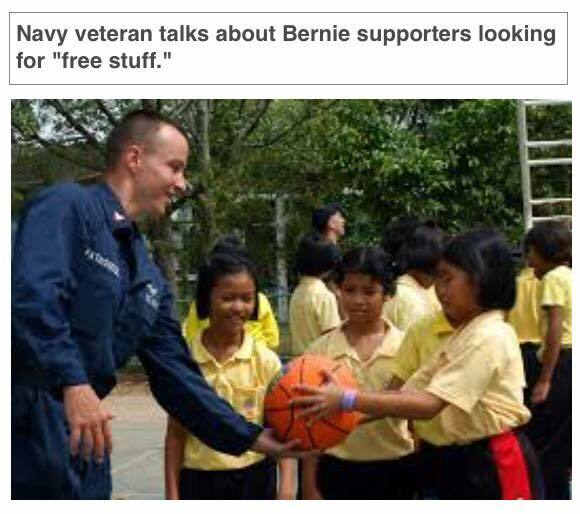 I wanted to share with you a different kind of story, and address this idea from critics that Bernie Sanders supporters are lazy moochers who only want free stuff. I recently spent a solid two weeks volunteering with the Sanders campaign here in Illinois, and this is what that experience was actually like. They were just a few of the people who had come to offer whatever help they could, each person echoing familiar reasons for coming as they introduced themselves that day. “We need to get money out of politics,” some said. “We have to invest in jobs and education. We need criminal justice reform. We need to protect our environment and put focus on sustainability. We need to care for our returning veterans…” they said. “This is the first election I have ever volunteered for, donated to, cared so much about… How can I help, what can I do, I want to make a difference,” they said. We’d each contribute in our own ways. The doctor was understandably too busy with his practice to phonebank or canvass, but he generously offered his home as a staging location for events. The lawyer could come after work to knock on doors and recruit volunteers. The musician and her 8 year-old daughter could make phone calls and walk door to door with pamphlets… Others showed up to lend a hand after working all day, or in some cases, before going to work all night. They showed up when it rained. They showed up when it poured. They were the hardest working bunch of lazy people I had ever seen in my life. The notion that folks who support Bernie Sanders are lazy is almost as ignorant and misguided as that reality TV show host who claims he can build a wall and get other people to pay for it.